Business and educational leaders agree that more needs to be done to encourage Michigan high school students to consider pursuing careers in skilled trades. However, they disagree on one possible solution. An Educational Development Plan (EDP) is a document school counselors develop showing a student's education and career goals, and a way to achieve them. Lawmakers are discussing two bills that would require schools to provide students with more career information and help create a talent portfolio for every student. “There’s a lot of opportunities that right now I think are not put forth in front of the students, parents as much as they should be,” said Roger Curtis, director of the Michigan Department of Talent and Economic Development. At a state Senate committee hearing last week, various business and industry trade groups expressed support for the legislation in hopes that it would address a growing problem in Michigan. “This talent gap or talent shortage, or however you want to call it, it’s become a primary barrier to economic growth in our state,” says Delaney McKinley, senior director of government affairs with the Michigan Manufacturers Association. But to implement the legislation, Michigan schools will have to hire many more school counselors. According to the Michigan Association of School Administrators, Michigan ranks near the bottom nationally for student to counselor ratios, at roughly 729 students to just one counselor. The legislation would call for cutting that ratio by two-thirds. “Just to get our counselor ratio to … 250 to one … you’re looking at a $316 million appropriation. That’s a lot of money,” says Chris Glass, West Michigan Talent Triangle, a consortium of 40 west Michigan school districts. Peter Spadafore is the Associate Executive Director for Government Relations for MASA. He says the goal of the two bills is “laudable.” Nevertheless, Spadafore adds the association has “serious reservations” about the potential cost. “Without a major appropriation for counselors from the state, this legislation will be an unfunded mandate that will be inequitably implemented as inflation continues to outpace the states investment in K-12 education,” says Spadafore. Money is just one issue. Another is convincing students that pursing a skilled trades career is not a step down. “I think one of the big misconceptions about current technical education is we’re just trying to push kids into jobs right away…. That’s certainly not true,” says Brian Sarvello, the career education director at the Marquette RESA. He says a majority of their students who complete a high school career and technical high school education do go on to college. Michigan Department of Talent and Economic Development. Traditional four-year universities aren't the only path to higher education and good jobs. That was the message today from U.S. Secretary of Education Betsy DeVos. 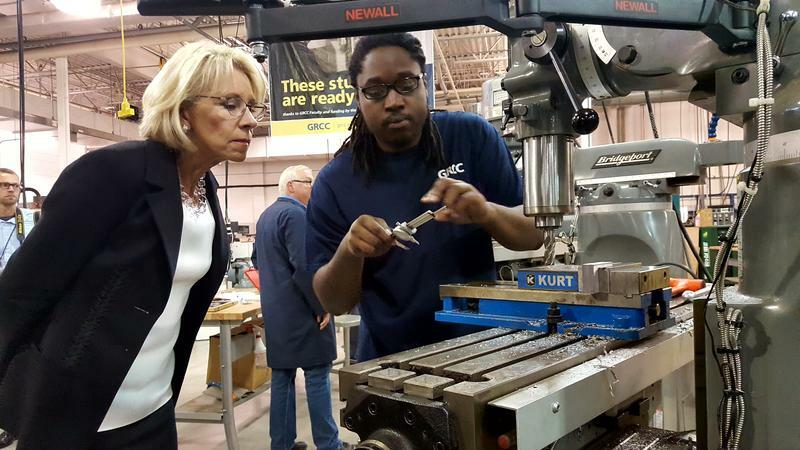 DeVos met with Grand Rapids Community College students and faculty as a part of a nationwide tour to see different approaches to higher education. The visit was focused on apprenticeships and the need for skilled trades workers. Michigan’s largest skilled trades union has agreed to train more Detroit residents in construction work. 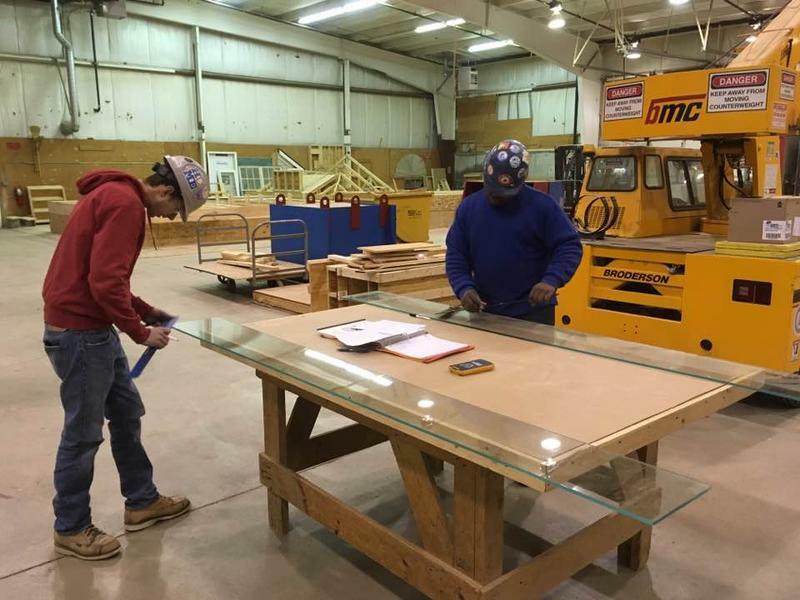 The Michigan Regional Council of Carpenters and Millwrights says three of its local units will commit to new targets. Those include making sure that Detroiters make up at least 25% of new apprentices, and tripling their Detroit membership in the next 10 years. 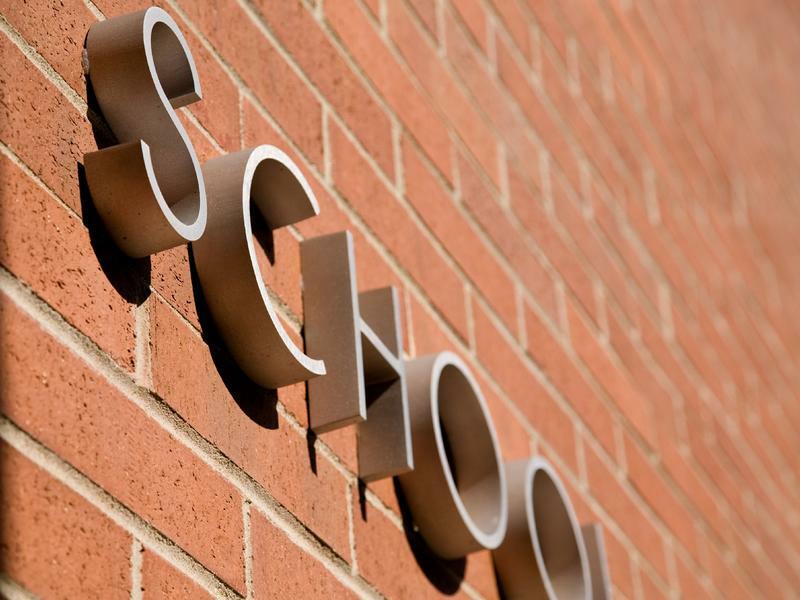 Pinckney Community Schools says it recently became the first school district in the nation to start a cybersecurity program. Jim Darga is the director of the Cybesecurity Institute at Pinckney Community Schools. He says students are learning skills that are already in high demand in the professional world. "They're embarking on a potential career that could go in a lot of different directions," Darga says. "Because all aspects, whether it's business, government, military -- all need cybersecurity professionals now."